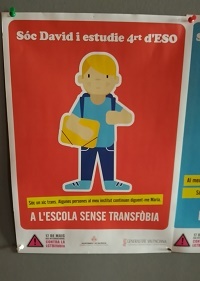 Regional government of Valencia applies measures to “eradicate transphobia” in elementary schools. Other Spanish regions promote similar pro-LGBT laws. A state school in Spain. Pupils in elementary and secondary schools will have the right to use the bathroom and changing room they prefer if they identify themselves as transgender. This new ‘right’ of children comes with the newest protocol approved by the regional government of Valencia (‘Generalitat Valenciana’). All minors in public schools who identify themselves as transgender will now have the right to be called by the name they choose (be it male or female). Transgender children will also freely choose the clothes they wear at school. Authorities promote these measures to “guarantee the right of gender identity, gender expression and intersexuality at educational centres”. The regulation affects all state schools. 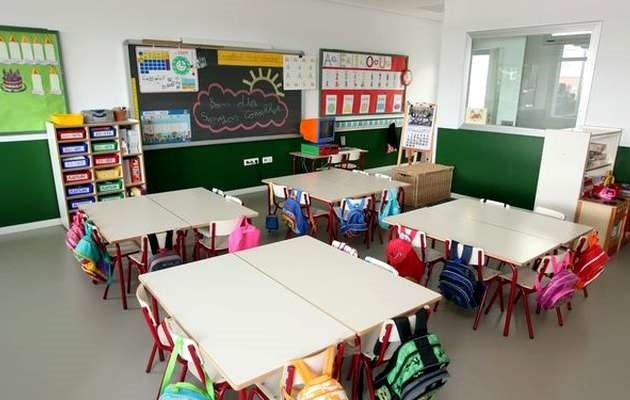 In Spain, 68% of all children attend state elementary schools. In a statement, the government of Valencia says “it will be imperative to facilitate the identity building” of transgender children. The Counsellor of Education (the Minister of Education on this regional level), Vicent Marzà, said “the education in Valencia aspires to become an inclusive space in which all people are able to develop their identity freely and with no barriers”. Schools will have to supervise and guarantee the right of pupils to experience the “gender transition” while attending school. Authorities ask “all educational agents to take all measures needed to prevent, detect and eradicate attitudes and practices that show sexist prejudices or discrimination based on negative prejudices on gender identity, non-binary biological genders or sexual orientation”. The new measures include a campaign in state buildings. A poster shows a pupil and reads: “I'm David and I'm in 4th grade of Spanish Secondary School [ESO]. I am a ‘trans’ boy. Some people continue to call me Maria. No transphobia at school”. Spain is considered to be one of the countries in Europe with more advanced pro-LGBT policies. Other regions in the country (including Madrid, Catalonia and the Basque Country) also have promoted specific anti-discrimination laws which promote gender ideology in schools. These measures include the use of LGBT sports and poetry events in public schools, as well as several other educational tools. Several regional governments have set up observatories which control the contents of media and other private companies, to make sure that a “diverse” view of sexuality is actively promoted. Is gender ideology actively promoted by the government in your country?